Integrated topper sign. This is the light fixture only. Bright light will give your ATM topper a fresh new look. 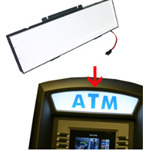 Replace your old or broken integrated topper light with a new fixture. 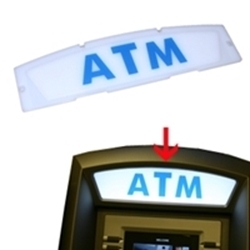 This replaces the light only and does not include the blue panel that says "ATM". This is the light behind the plastic panel.